With the development of new wireless communication technology radio signals are constantly evolving. Our environment has changed dramatically: from remote control for TV and roller shutters, upto wireless data transmission. Wireless technology has become an inseparable part of our everyday life. During the development of Eco Climate Control, SAUTER has put a great deal of effort into the reduction of the radio transmission power in order to safeguard users and their environments. 868 MHz, the ideal frequency with responsibility. SAUTER’s wireless technology builds on bidirectional communication. This enables radio signals to be securely transmitted at a minimum transmission power: for sustainable applications in residential areas. 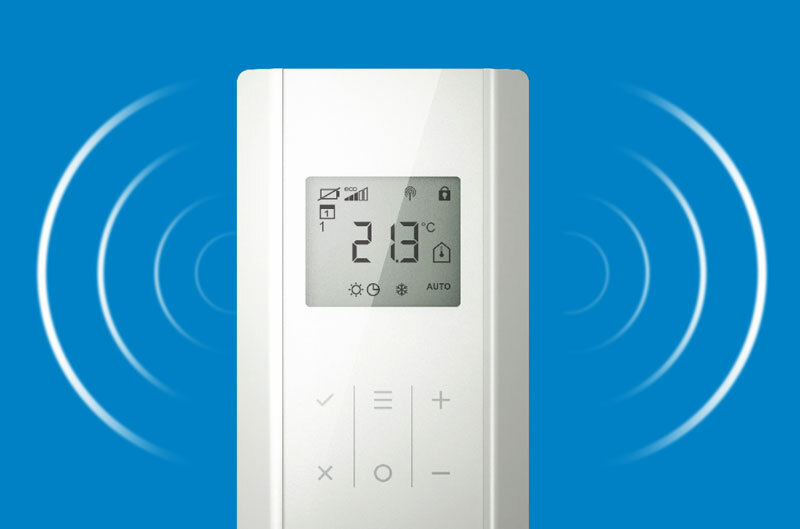 In comparison with a customary DECT phone, Eco Climate Control requires only an average transmission power of around 0,01%.